Cornerstones offers patients a gentle , helpful and affordable approach to healing a variety of conditions. Often called 'cold' laser (even though is not actually cold to the touch), this type of therapy uses light rays to stimulate the body’s own natural healing system. Unlike ‘hot’ or high intensity laser, cold laser does not generate heat for cutting through tissue. The aim of laser light therapy is to decrease inflammation and pain and increase tissue regeneration. 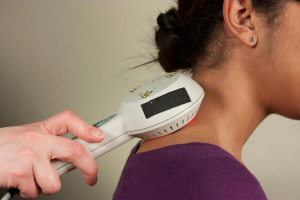 Laser can be used on its own or in conjunction with other therapies such as chiropractic or massage therapy. At Cornerstones we use the Theralase super-pulsed laser and your treatment is conducted by a liscensed chiropractor.